KANSAS CITY (WFIE) - University of Southern Indiana Softball earned a pair of one-run Great Lakes Valley Conference victories over host Rockhurst University Saturday afternoon. The Screaming Eagles (25-13, 13-3 GLVC) won the opener, 1-0, before grabbing a 4-3 win in the nightcap. Game 1--USI prevailed in a pitcher’s duel, thanks to a two-out rally in the top of the sixth inning of the opening game. Senior second baseman Claire Johnson (Pittsboro, Indiana) was hit by a pitch with two outs to begin the rally, while junior pitcher Jennifer Leonhardt (Louisville, Kentucky) followed with a two-out single to put a runner in scoring position.Sophomore outfielder Alicia Webb (Elberfeld, Indiana) followed with a run-scoring double to break the scoreless tie. Rockhurst (18-15, 7-7 GLVC) had runners at second and third with one out in the last half of the seventh inning, but Leonhardt induced back-to-back pop-ups to close the door on the Hawks. Leonhardt (15-4) earned the win after scattering five hits throughout seven innings. She struck out 12 batters as she earned her ninth complete-game shutout of the year. Leonhardt, who also has two combined shutouts this season, has not allowed a run in nine of her last 10 starts and is currently sporting a 0.25 ERA in GLVC-only games. Game 2--USI racked up 13 hits, including three straight in the top of the first inning, to defeat the Hawks, 4-3, in the nightcap. Webb’s RBI-single in the first put the Eagles up, 1-0, while a two-run single by sophomore first baseman Haley Shouse (Borden, Indiana) in the third inning extended USI’s lead to 3-0. Rockhurst, however, scored three runs in the last half of the third inning to tie the score, forcing USI senior pitcher Haylee Smith (Florence, Kentucky) out of the circle. Senior outfielder/pitcher Caitlyn Bradley (Forest, Indiana), though, quelled the Hawks’ surge, getting a strikeout and a pop-up to get the Eagles out of the third without giving up any more runs.Bradley (5-4), who earned the win, held the Hawks hitless throughout the next three innings to keep the Eagles in contention. USI, meanwhile, got a lead-off double from Shouse in the fifth inning and, after a sacrifice bunt and a strikeout, freshman third baseman Mary Bean (Schaumburg, Illinois) put the Eagles in front for good with an RBI-double to left field. Leonhardt (4) came on in the seventh to strikeout two of the three batters she faced to earn her league-leading fourth save of the year. 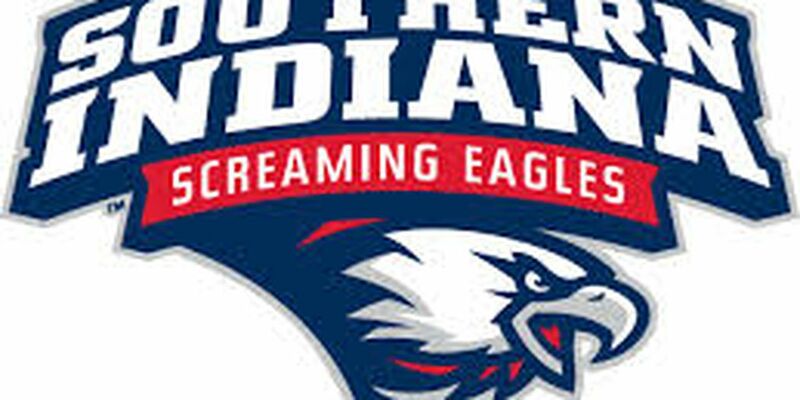 Up next--USI returns to the USI Softball Field Tuesday at 6 p.m. when it hosts Kentucky Wesleyan College in a Midwest Region doubleheader.